First off, I got an offer for 3x MR points on one of my many AmEx Platinum cards. Log in and check if you got it as well, not all members will have the deal as well. It certianly looks like amex is getting an early start on the Christmas consumption season. For those traveling you get a free ride from the major airports. The official offer is here. Choose your AmEx card and use code AMEXAIRPORT for two free rides FROM the airport worth $65 each. AmEx is trying very hard to be relevant in these crazy times. First with the 5x MR for plane tickets in response to chase 3x UR. The have now offered $130 in the form of two $65 rides from the airport for each AmEx card you have. This is in response to Capitol One with $15 for every 9th uber ride. It appears to be per Uber account, and not by card. I don’t think you can do more than two on one uber account and change cards. 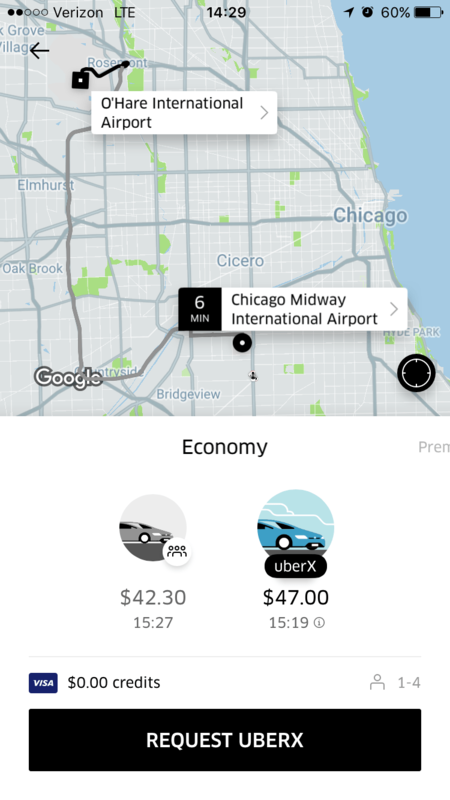 I might take an Uber from MDW to ORD then back, just to give to fare to an Uber x driver. Merry Christmas! The promotion runs through December 31st 2016.